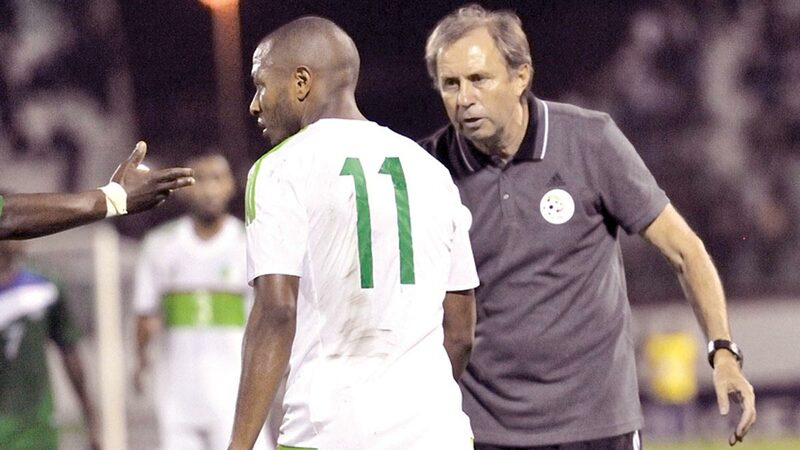 Desert Foxes coach, Milovan Rajevac has disclosed that his team would have a mountain to climb against the Super Eagles if they are to qualify for the 2018 FIFA World Cup. Algeria was held 1-1 by Cameroon at home on Sunday and is second on the table with one point. The number one team in Africa began the game like a house on fire as they snatched an early lead through Hilal Soudani before Benjamin Moukandjo equalised for the visitors in the 24th minute. The Desert Foxes will confront the Super Eagles at the Godswill Akpabio International Stadium on November 12, in what is expected to be a mouth-watering encounter that could decide the fate of both teams. With their biggest test to come against a Super Eagles side that defeated the Chipolopolo 2-1 in Ndola on Sunday to move top of group B with three points, the Serbian tactician has said that he hopes to invite quality players that would give Nigeria a run for their money. “We will try to call-up the applicable squad for the Nigeria game, who are leading the group. We will face a difficult opponent in Nigeria. We will make use of Cameroon’s draw and work not to repeat our mistakes in the coming games.” Rajevac said.